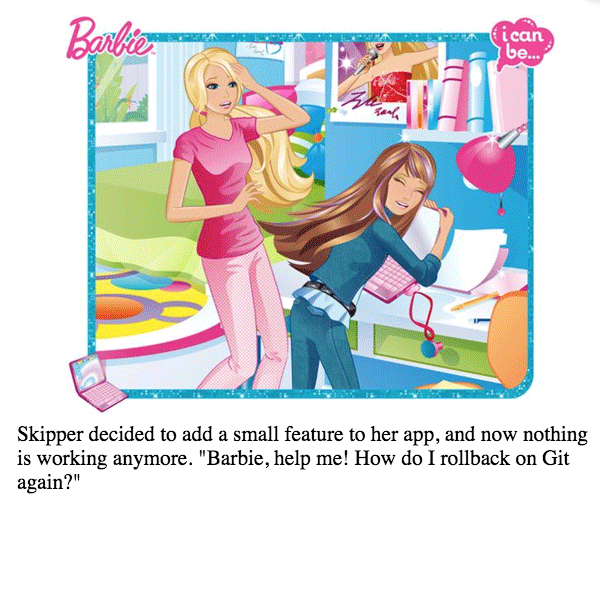 Skipper decided to add a small feature to her app, and now nothing is working anymore. "Barbie, help me! How do I rollback on Git again?"